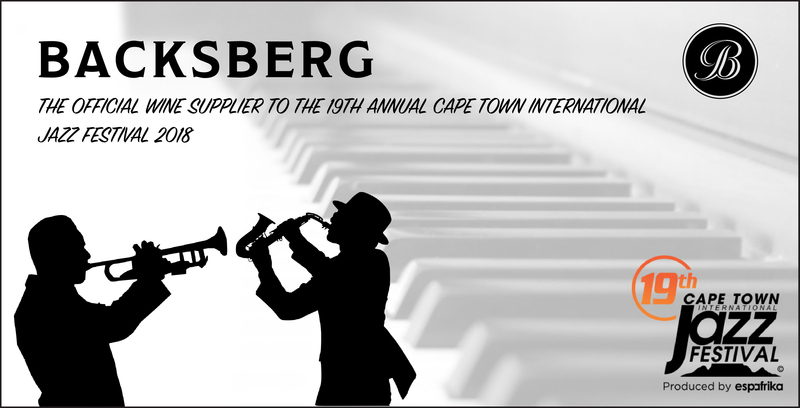 Backsberg is thrilled to have once again been designated as the official wine supplier to the Cape Town International Jazz Festival – this includes provision to both the public hospitality areas as well as corporate suites.The event, being one of the world’s favourite jazz festivals, takes place between 23 and 24 March 2018 and is highly anticipated each year.We are proud to be supplying a select range of wines to the multifarious crowd that this world-class event attracts. This year’s line-up includes notable international acts such as British singer/songwriter Corinne Bailey Rae and American bassist, vocalist, producer, composer and arranger, Miles Mosley. 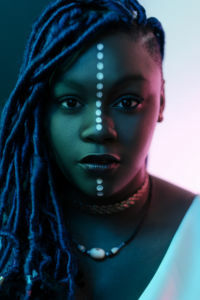 On the local front, we’ll see stars including composer/arranger Billy Monama from Grazroots Project and jazz singer/songwriter sensation Amanda Black. Amanda describes her music as ‘Afro-Soul’, fusing hip-hop, soul and R&B genres. Singing in a mix of both English and Xhosa and often painting her face with traditional white stripples, Amanda is a contemporary artist with a firm connection to her roots. Backsberg is proud to be partnering with luxury beauty salon, Lume Beauty Atelier to pamper Amanda with bubbly and beauty treatments prior to her performance, treating her like the queen she is. Furthermore, we’ll be pouring some of Backberg’s best at the annual Jazz Festival Golf Day, taking place at King David Mowbray Golf Club on 22 March 2018. The ‘golf with a cause’ day is an annual precursor to the prestigious Cape Town International Jazz Festival and is a social opportunity for businesses to network whilst enriching and developing local community projects. Simon Back, CEO of Backsberg Estate Cellars says a prestigious international event such as Cape Town International Jazz Festival is a wonderful way to introduce South African wines to an eclectic audience from near and far. “From jazz and culture to business and community projects, we couldn’t be happier to be part of this significant event. We look forward to connecting with a diverse group of talented and influential people,” says Back. For more information on the 19th annual Cape Town International Jazz Festival, visit: http://www.capetownjazzfest.com/.